Interest rates improved slightly last week with the MBS market closing up (+ 9 bps). Mortgage rate pricing was higher for most of the week – but a rally on Friday ended the week with the MBS market in positive territory. Markets have been closed the majority of this week due to Hurricane Sandy. So far this week, the MBS market is trading up (+16 bps). Above is a mortgage rate graph taken from bankrate.com which surveys the average mortgage rates funded every week. Current rates are quite a bit lower than they were in August – but not as low as the end of September / early October. Most experts agree that the lowest mortgage rates are past us. I expect rates to stay in their current range through the end of the year – with some swings up and down in the process. Even though I don’t expect rates to change much through 2012, there are a lot of events coming up that could cause movement. Rates typically go up when the economy improves. Right now we are seeing a lot of conflicting economic data. We have stronger retail sales reports, increasing construction and more applications for building permits. But we are also seeing many large corporations reporting lower than expected earnings numbers. Hurricane Sandy will also likely slow economic growth in many parts of the country, which could cause investors to pull money from the stock market and into the bond market. Many consumers think that the Presidential election has a huge effect on the mortgage rate market. I don’t really think it does nor will this time. Regardless of who wins – the US economy doesn’t change overnight. The bigger impact will be when Barrack Obama or Mitt Romney enact new economic policies that affect business profitability and growth. I think this issue is probably the one event that can change interest rates the most. The US Treasury is set to hit their debt ceiling near the end of 2012 – and a deal needs to be completed for the US Treasury to be able to borrow money to meet their obligations. If a deal is not completed – the government may have to stop providing Medicare benefits, Social Security benefits, military salaries, tax refunds, etc. I think this is too much of a political issue for some type of deal to not get done, but the details of the deal and how it affects future government borrowing could have a big effect on the economic market. I still recommend locking mortgage pricing. There is more risk in rates going up than the benefit of them going down. Rates are still very close to all time lows and experts don’t think that rates will hit that level again. So there is not much room for rates to go down, and much more room for them to go up. If a rate is beneficial, lock it. Today’s Mortgage Interest Rates. Current Mortgage Interest Rates and APRs for refinancing and purchasing in Arizona, California, and Colorado. Arizona Home Loans, California Home Loans, Colorado Home Loans. Mortgage Rate Sheets for fixed mortgages, ARM mortgages, Variable Mortgages, Interest Only Mortgages, HARP mortgages, HARP 2.0 mortgages, DU Refi Plus Mortgages, Freddie Mac Open Access Mortgages, Fannie Mae Home Path Mortgage, Freddie Mac Foreclosure Relief Mortgage, VA mortgages, VA Interest Rate Reduction Loans, FHA mortgages, FHA streamline mortgages, Conforming mortgages, Conventional Mortgages, 100% Financing Mortgage, High Balance Mortgages, Fannie Mae mortgages, Freddie Mac Mortgages, No appraisal refinances, 0 point mortgages, 0 closing cost mortgages, paying a point mortgages, Refinance mortgages, purchase mortgages, and Jumbo Mortgages. The MBS market closed last week trading down (-12 bps). The market was very volatile last week. On Thursday, mortgage rates spiked up due to the stock market posting great gains and hitting a 4 year high. On Friday, the August unemployment report was released and the amount of jobs created was lower than projected by the experts. The unemployment rate went down from 8.3% to 8.1%, but this was mainly due to people exiting the work force and not continuing to look for a job. This caused mortgage rates to finish the week on a high note, closing + 50 bps. Expect more volatility this week highlighted in The Federal Open Market Committee (FOMC) news conference on Thursday. If the FED does not “ease”, I expect rates to go up as the market already built in pricing improvements based on Ben Bernanke’s hint last week that the FED can and will do more. The FHFA announced on Friday that Fannie Mae and Freddie Mac will increase guaranteed fees by .1 basis points most likely by December 1st, which will equate to an approximate .5 point increase on pricing for all Fannie Mae and Freddie Mac backed loans moving forward. Almost all of the loans you hear advertised are Fannie Mae and Freddie Mac conforming loans. EXAMPLE: If you are being offered a 3.5% 30 year fixed at 0 points. That same loan after the pricing change will cost approximately .5 points. This is a huge swing and I think signals the end of the debate on whether rates will drop lower. Since this starts in December, lenders will likely adopt the new pricing some time in October – giving lenders enough time to close loans originated under old pricing. If you are considering refinancing, I would recommend locking sometime before October as rates will go up. The MBS market closed last week trading up (+ 81 bps) and on Monday the MBS market closed trading up ( + 19 bps). So over the past week and 1 day, the MBS market is trading up +100 bps and rates have improved dramatically after going higher in hurry the week before last. We still stand in a market where rates will likely stay low, but if they do go up, they can go up quickly. All eyes this week are on Ben Bernanke’s speech at the Jackson Hole economic conference on Friday. Experts are about 50/50 on whether the FED will ease and buy more mortgage backed securities in the future. This speculation and Europe’s debt situation has dominated mortgage markets for most of this year. The Fed will move to ease if it thinks the economy needs it. I don’t see it happening as the past 2 Fed purchase programs have kept rates low, but they haven’t improved the economic numbers and have bloated the FED’s balance sheet. Either way, expect rate movement in one direction or the other depending on what Bernanke hints towards in his speech. College football is here, and my family and I are super excited. Growing up in Michigan, I have always been a huge Michigan Wolverine Fan. On a trip to Michigan this week, I was able to visit the Big House and catch a glimpse of Denard Robinson outside Schembechler Hall. 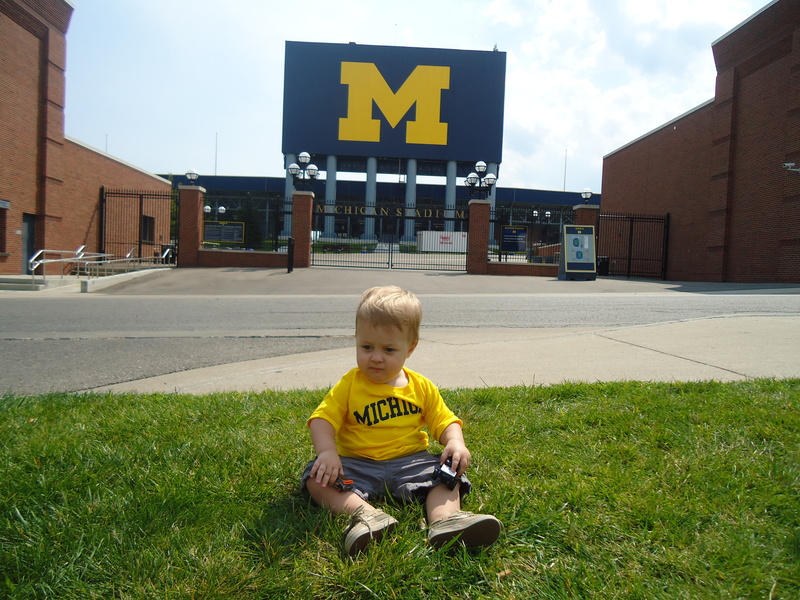 Very cool – here is my son and hopefully future Wolverine, at the gates of the big house. 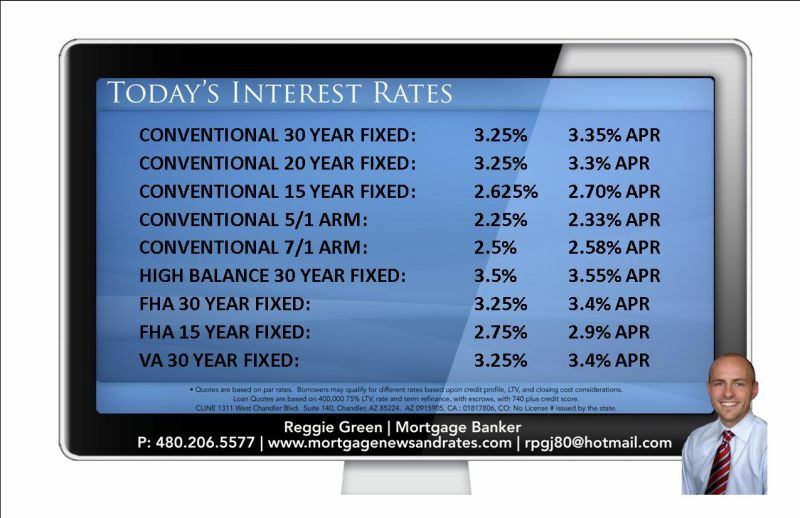 MORTGAGE RATES RISE QUICKLY WITH MBS SELL OFF!! The MBS market closed last week trading down (-91 bps) and on Monday the MBS market is trading up ( + 18 bps). Mortgage rates went up rapidly as investors saw more signs that the European Debt situation seems to be easing and the US economy is getting stronger. When investor confidence comes back, there is usually a quick turn around and rates rise much faster than they go down. This is why I always say if you like a particular rate and product, lock it, as rates can change very quickly. I don’t see rates ever going below 3.25% without getting very expensive. Many potential borrowers missed out on great rates waiting for a small dip in rates, which would only lower their payment an additional $10-$20. It is usually not worth the risk. There is not much data this week. I expect rates to rebound slightly as is the norm when rates go one way very quickly. On August 30th, Bernanke will have his opening speech at the annual economic conference at Jackson Hole. With the recent signs of economic strength, there is now investor sentiment that the FED will not begin another round of quantitative easing. His speech on the 30th, will likely give us some insight on what the FED may do. On the bright side, football starts in 2 weeks. I will be out of town from Wednesday to Monday so you may not be able to reach me during those days. Make it a great week!! Today’s Mortgage Interest Rates. Current Mortgage Interest Rates and APRs for refinancing and purchasing in Arizona, California, and Colorado. Mortgage Rate Sheets for fixed mortgages, ARM mortgages, Variable Mortgages, Interest Only Mortgages, HARP mortgages, HARP 2.0 mortgages, DU Refi Plus Mortgages, Freddie Mac Open Access Mortgages, Fannie Mae Home Path Mortgage, Freddie Mac Foreclosure Relief Mortgage, VA mortgages, VA Interest Rate Reduction Loans, FHA mortgages, FHA streamline mortgages, Conforming mortgages, Conventional Mortgages, 100% Financing Mortgage, High Balance Mortgages, Fannie Mae mortgages, Freddie Mac Mortgages, No appraisal refinances, 0 point mortgages, 0 closing cost mortgages, paying a point mortgages, Refinance mortgages, purchase mortgages, and Jumbo Mortgages. The MBS market closed last week trading down (-38 bps) and on Monday the MBSmarket closed down ( – 3 bps). Mortgage rates rose last week as fewer investors are seeking the safety of US Bonds and Mortgage Markets. These markets are technically selling negative – pushing rates up from their previous lows. The general mood on Europe’s monetary situation has improved with optimism that a solution to ease the situation will eventually happen. This optimism causes less demand for mortgage backed securities, pushing the prices lower and rates higher. I recommend locking as the MBS market technical indicators are in a bear state, indicating that rates could continue to creep higher. The MBS market closed last week trading down (-3 bps). Basically a ho-hum week with not a lot of data or change in rates. This week FED chairman Ben Bernanke testifies before Congress on Tuesday and Wednesday. On Tuesday, he said that the FED could still use measures to boost economy if it saw fit. While not saying they would use them, he says they are available if they feel the need. This economic easing could include another round of buying mortgage backed securities and lowering of the interest rate the FED charges it’s reserve banks. He noted that using these measures is an option,but there a certain risks and side effects that need to be considered carefully before using them. The FED is still happy with inflation staying below 2%. It will focus on job growth when deciding if more economic easing is necessary. Job growth has been very slow and below projected numbers the past few months. All in all, there is not much information that we have not already been given. Mortgage rates are remaining at record low levels and it appears the FED will not push to purchase mortgage backed securities unless it absolutely has too. I predict for rates to stay stable barring anything unforeseen happening in the market. TODAY’S RATES – 30 YEAR FIXED AT 3.625% PAYING 0 POINTS!! 30 YEAR FIXED AT 3.625% PAYING 0 POINTS!! The MBS Market closed last week trading up (+ 16 bps). Mortgage rates improved again – and are back to all time low levels. Over the weekend, Greece held their elections and the party that wants to stay in the European Union won. There was not a ton of market movement on Monday because of this – right now the MBS market is trading up +7 bps. The big thing to pay attention to this week is the FEDERAL OPEN MARKET COMMITTEE (FOMC) meeting on Tuesday and Wednesday and their statement release on Wednesday. Many industry experts predict they may extend purchasing mortgage backed securities in another set of Quantitative Easing. If they do, mortgage rates usually will go lower. If they don’t, mortgage rates will likely move higher. If you don’t want to risk it, we can lock your loan and offer a float down if rates get better after we lock. 30 Year Fixed at 3.625% paying 0 points. MORTGAGE RATES SURPASS RECORD LOWS, AGAIN!!! The MBS Market closed last week trading up (+ 100 bps)!! Mortgage Rates positive momentum started with great pricing improvement near the latter half of the week. The stock market was hit hard last week, culminating in a poor jobs report on Friday that pushed rates below another record. That being said, when mortgage rates hit a low point, they usually only stay there for a day or two tops. I expect rates to increase this week, but not by much. This is the best time in the history of the mortgage industry to take advantage of low rates either by refinancing or purchasing a new home. Please call me or fill out the quote questions below for an up to date quote. 30 Year Fixed at 3.625% paying less than .2 points. 20 Year Fixed at 3.5% paying 0 points. MORTGAGE RATES RISE – BUT COULD DROP LOWER. The MBS Market closed last week trading down (-9 bps). After hitting all time lows the week before, mortgage rates have pulled up a bit. This is pretty typical when mortgage pricing hits a low point. Pricing only stays there for a day or so. Lenders also don’t bring pricing down as much when the market improves, and lenders bring pricing up quicker when it worsens. Even so, mortgage rates are still unbelievably low and I am optimistic they will stay low and may even go a bit lower. Europe is still in a huge mess, and until that clears up, investors will continue to seek the sanctity of safe US Treasury bonds. This helps keeps rates low and could push them lower. IT’S OFFICIAL – LOWEST MORTGAGE RATES IN HISTORY!! IT’S OFFICIAL – WE NOW HAVE THE LOWEST MORTGAGE RATES IN HISTORY! Nothing else really needs to be said. If you want to refinance or purchase a new home – now is the time to do it. 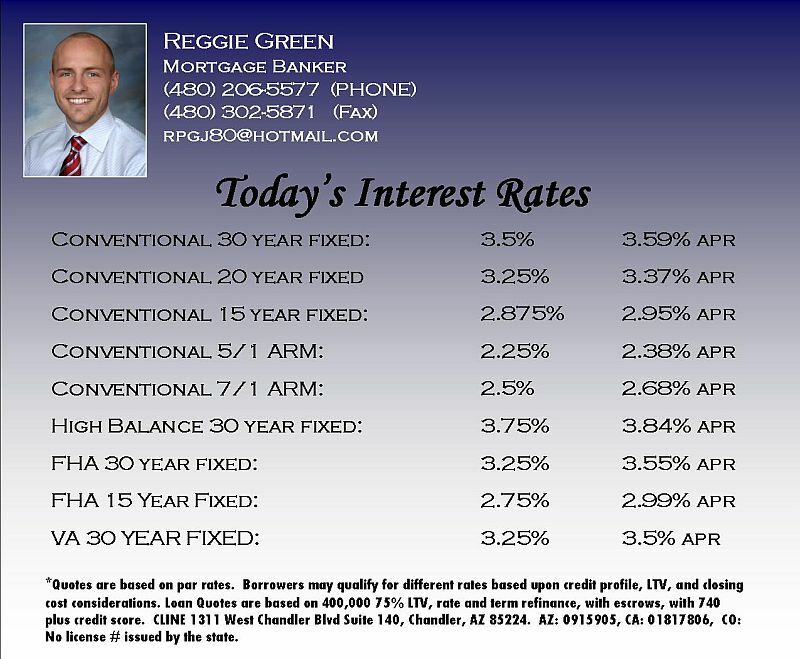 Call or email me the answers to the questions below my rate sheet if you would like a mortgage quote. Please email me the information below to rpgj80@hotmail.com for a free a mortgage quote. Due to the large amount of recent inquiries, please only request a quote if you are looking to do something now versus just checking rates.